The Maker Buoy is a low cost, Arduino-based, solar powered and open source drifting buoy that is available to purchase ready-made or for the end-user to construct themselves following simple instructions. The goal is to provide a tool so that we can gain invaluable knowledge about ocean currents, climate and to improve forecasting. Making sure it is easily accessible by hobbyists, researchers and organisations is the key to making the most of the vast amounts of information that can be gleaned from studying our oceans. The primary purpose of these long-lasting buoys is to measure ocean currents and sea temperature. This information is usually transmitted over satellite networks to oceanographers who are back in their labs on the mainland. The current of the ocean surface and various temperature readings provide vital intel for weather and climate models. Some drifters are even thrown in the ocean in the path of typhoons and hurricanes to gain a better understanding of ocean behaviour, as well as bettering our understanding of intensity forecasting. Borne from the mind of engineer Wayne Pavalko, a mathematician by training and an engineer from John Hopkins University Applied Physics Laboratory in Maryland, these buoys are readily available and incredibly easy to build from scratch. There are many of these buoys deployed for ocean monitoring around the world. Comprised of a Rock7 RockBLOCK 9603, 1 W solar panel, custom board, a 2AH battery, 3-D printed internal frame, Adafruit GPS, a few cable ties, its own waterproof case, and you have an incredibly robust, low impact buoy that will last a lifetime in the ocean and can be assembled in under 10 minutes. Early designs of the buoy deployed in 2016 lasted over 2 years and travelled more than 9000 miles, sending valuable data the whole time. Since 2016, the design has been made smaller, cheaper and far easier to construct, without sacrificing its robustness. 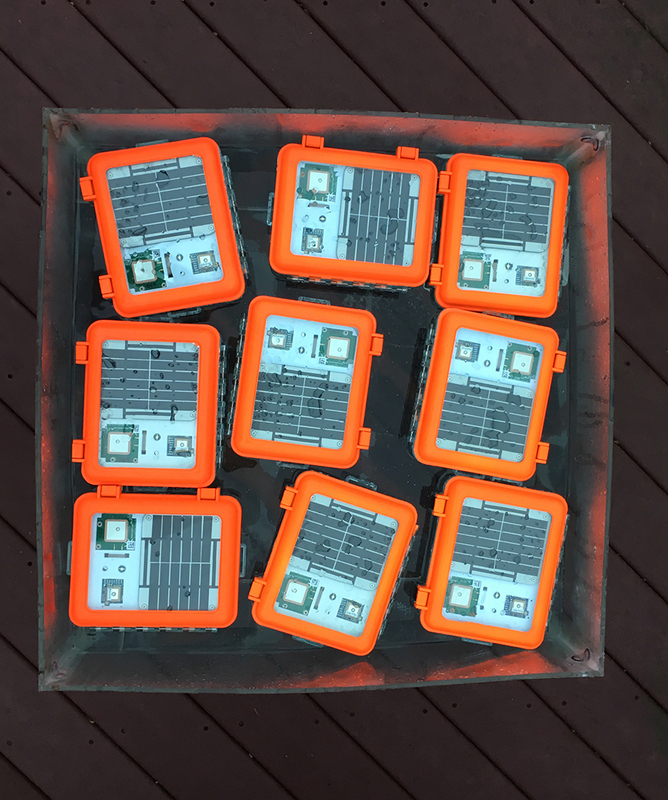 If the idea of creating your own buoy, programming the RockBLOCK 9603 and retrieving your own oceanic data is appealing, head on over to the Maker Buoy website for a quick read up, or reach out directly to makerbuoyshop@gmail.com for all inquiries. You can also check out how easy it is to build a buoy in under 10 minutes here!